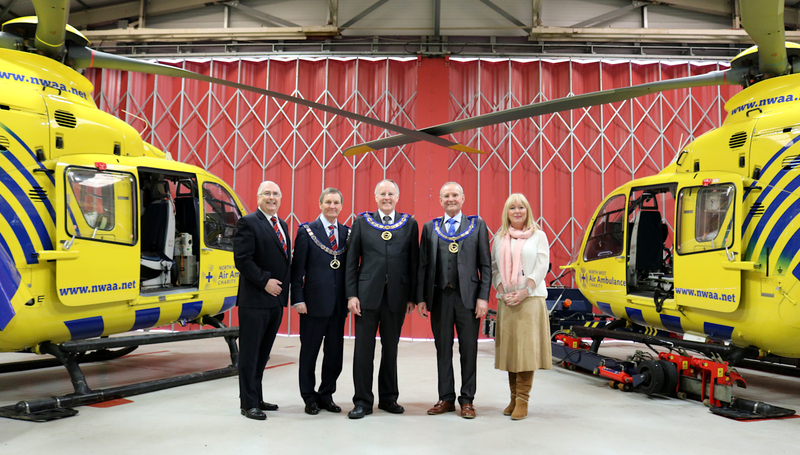 Latest grant of £12,000 to North West Air Ambulance from Freemasons brings total donation to £2.3 million. 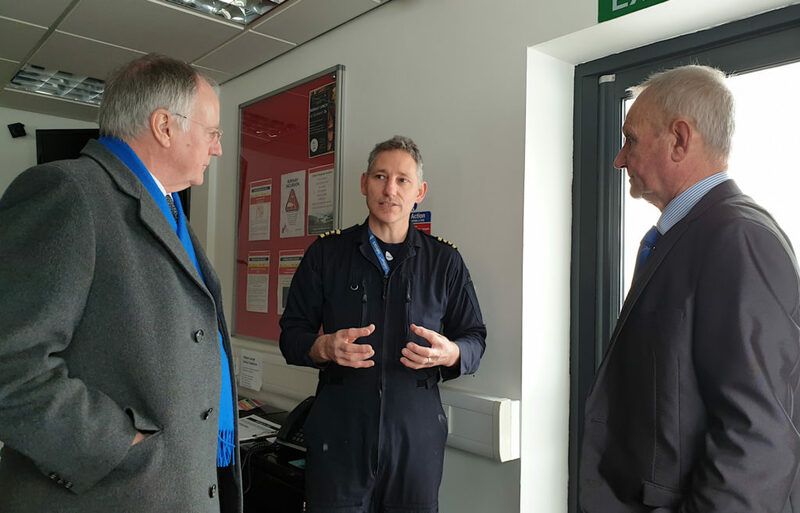 David Walmsley – Assistant Provincial Grand Master in West Lancashire, Simon Palfreyman – Assistant Provincial Grand Master in Cheshire (Area 4), and John Farrington – Deputy Provincial Grand Master in East Lancashire ably assisted by provincial charity stewards from Cheshire and East Lancashire, all braved the snow to meet with staff from North West Air Ambulance to take a short tour of the facilities and learn a little more about what they do. On this particular morning the two impressive Eurocopter EC135 helicopters were grounded due to poor visibility. 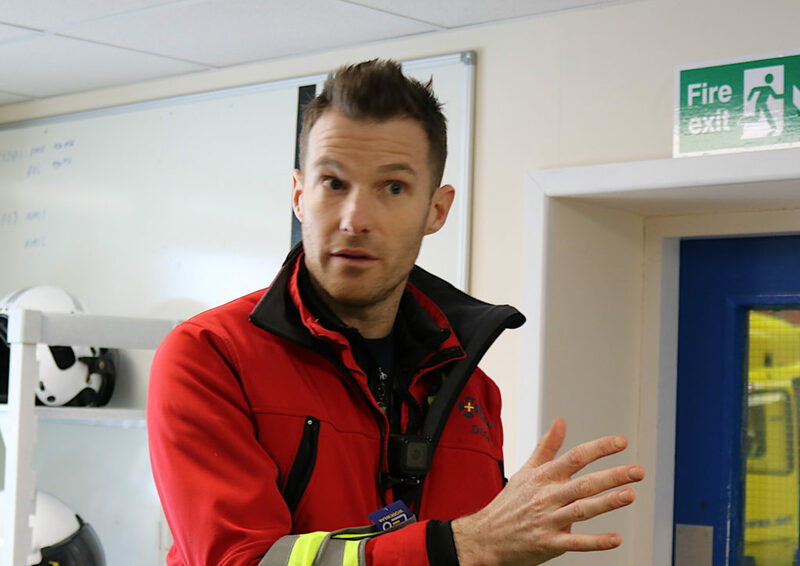 One of the pilots, Lee took the opportunity of telling us that from the City Heliport (Barton Aerodrome) there is an easily referred to visual point which denotes the flying limit of 1500m; Barton Bridge! Of course, no chance of seeing it on that foggy morning. It turns out the helicopters, as we all can imagine, are hellishly expensive to operate. £9 per minute in fuel. Average call out cost £2,500. 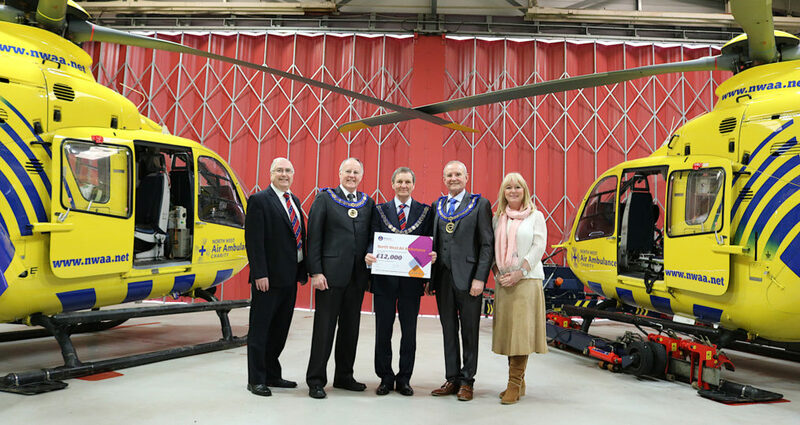 The recent grant of £12,000 will go a fair way to providing fuel for one air ambulance for a month. 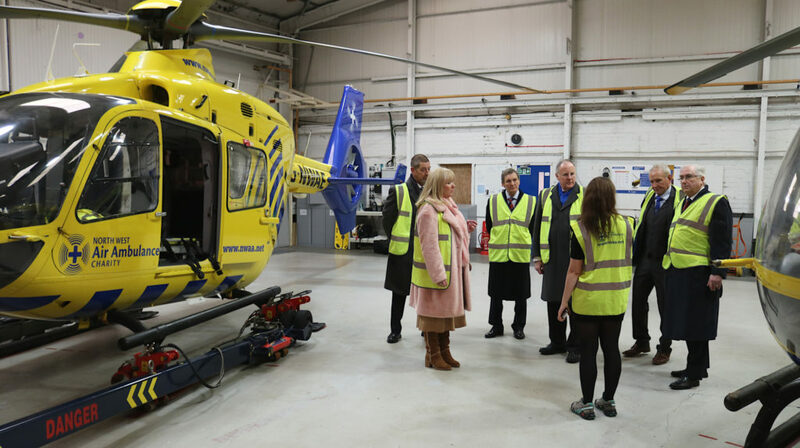 North West Air Ambulance Charity is entirely reliant on donations to deliver its lifesaving emergency service. Should you wish to donate or learn more please click here.